A sparkling sweet sensual fragrance: for a modern girl entering her fairy love quest with a hint of impertinence. Spray on to pulse points and neck as required. I love nina ricci perfumes and this one is delightful. It is musky but sweet too,really feminine and distinguishable. Great looking bottle, nice scent and long lasting. The first thing that grabbed my attention was the bottle, it looks really great. The bottle is easy to use and the scent is magic. Just like the typical scent I love, this was so feminine and sweet, subtle at the same time. Slight touch of musk to give it an edge and make it stand out. this is perfect for any female, sweet yet slightly musky. 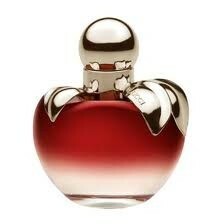 "I love nina ricci perfumes and this one is delightful. It is musky but sweet too,really feminine and distinguishable. The bottle looks great and the..."